Emotions plays a huge role of a wedding, and that is the reason most clients, will invest into a wedding photographer that has mastered on his craft. They realize that one of the most important days of their lives is about to take place, and they have put that trust in that wedding photographer hands. In all of that, as a Wedding Photographer, you must provide the clients with images with their expectation, and if you can exceed them, then you have really captured their day perfectly. 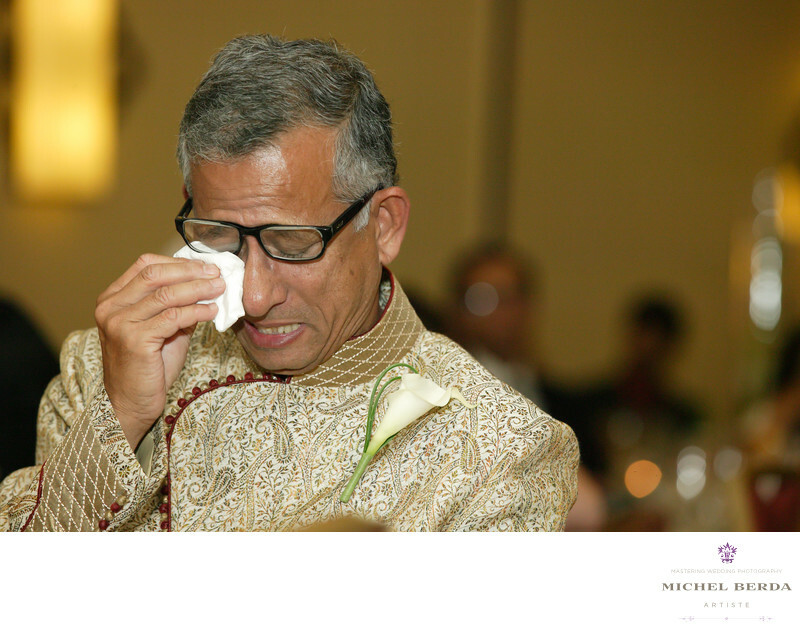 As a Charleston wedding photographer, I was photographing the toast, at The Charleston Marriott, and it was dad turn, I knew that when I met dad, he seemed very emotional about his daughter getting married, and the moment when he started his toast he kept on. A photograph and emotions like this is why I love what I do and I have such a great passion for me, I never skip a beat or miss such a important image, you have to know what and how this all plays out, how you pan with your camera, always looking for that special moment. The result of the image is why weddings to me, are so exceptional.Keywords: Charleston Marriott Wedding Photographer (3).